Infuriated at the lack of investment into cycling routes around West Sussex, Horsham District Cycling Forum decided to take some direct action. 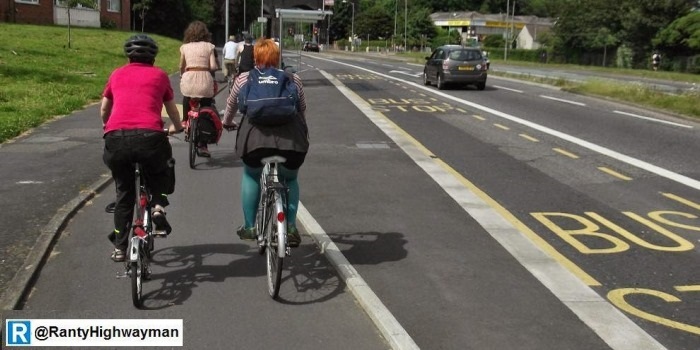 They called on local medical professionals from all aspects of healthcare to sign an open letter to Horsham District and West Sussex County Council demanding that they take cycling seriously as a solution to both population and climate health. In total 26 healthcare professionals both clinical and non-clinical, from GP’s to social workers have signed their names to the letter, backing their belief that we need to take a more proactive approach to get people out of cars and onto two wheels. The benefits of travel by bike are huge. Environmentally we would see less air pollution and a reduction in carbon emissions (helping tackle climate change). Stress levels reduce as congestion lessens and parking becomes less of a bun-fight. Moreover, people build a workout into their day, making it easier to keep up regular exercise and reap the health rewards. With obesity and diabetes two big diseases on the increase, placing a burden on all our social services, it makes sense to support relatively simple solutions to these problems. Exercise is proven to make a real difference to both obesity and diabetes. And cycling is an incredibly affordable option, once you’ve invested in the bike, lock and helmet you can travel anywhere without the worry of road tax, insurance or fuel bills. A big reason many people don’t choose to cycle over taking the car, is that they feel unsafe on the roads. If councils make cycle focused choices when it comes to town planning, they are enabling their communities to make more positive travel choices. If there was infrastructure with the cyclist in mind, more people might try cycling into and around our towns. The letter, which clearly outlines why councils need to refocus their priorities, also paints a bigger picture. It lays out a vision of a world joined up by cycling networks, with councils working across county lines to extend the benefits more broadly. It calls for the council to work with the highways agency to make this vision a reality. That really is a brave new world, and definitely one worth shouting about. This time it was 26 medical professionals in West Sussex, perhaps next time it will be 260 across the UK.